The nationwide Telikom National Soccer League (TNSL) moves into the championships stage this weekend. In Port Moresby, grudge match between PKA Rapatona and MRDC Hekari United is certain to entertain the followers in the Nation's Capital. This is just what the PKA Rapatona coaching staff are gearing up for and we can expect thing to heat on and off the field. With the transfer windows open this week the Posman Kua Aisi franchise are looking to pouch players from other franchise to boost their campaign for the Championships stage. Hekari are a class act with quality players in David Muta, Koriak Upaiga, Wira Wama and rising stars in Emmanuel Simon, Otto Kusunan, Papalau Awele and Ismael Pole at the goal mouth, but a little push and shove in the right places may force them out of their comfort zone. PKA Rapatona may not be as agile as the latter, but they certainly will push the referee's temperament to reach for his pocket in what is expected to be a dicey clash. At the Sir Ignatius Kilage Stadium in Lae, Welgris Morobe United will go up against reigning champions Lae City Dwellers. 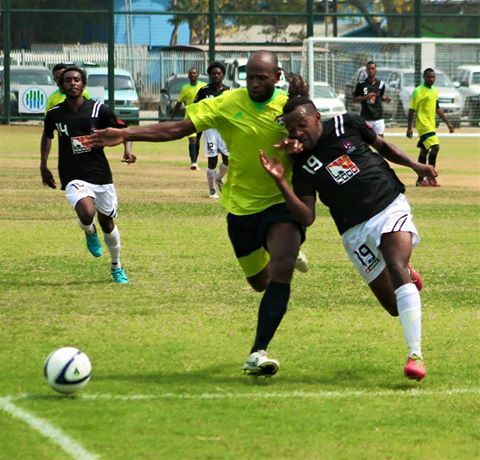 It will be a brotherhood clash between the both Morobe team but Dwellers will go into the match has favourites with all expectations on their captain Raymond Gunemba and Nigel Dabinyaba to score goals for them. While for the Welgris Morobe United their charges needs to be a bit more patient in their attack and let the ball do the talking then they will reap the rewards. Eluid Fugre's hassling and aggression in the midfield will also be counted to steer is team to victory and put smile on their supporters face.